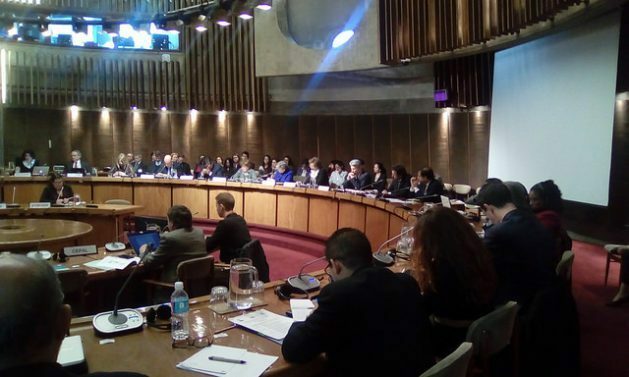 SANTIAGO, Sep 4 2017 (IPS) - Latin America and the Caribbean called for the free movement of persons to be included in the Global Compact on Migration, which will be negotiated within the United Nations in 2018, in the first meeting held by any of the world’s regions to decide on the position to be adopted on the future agreement. 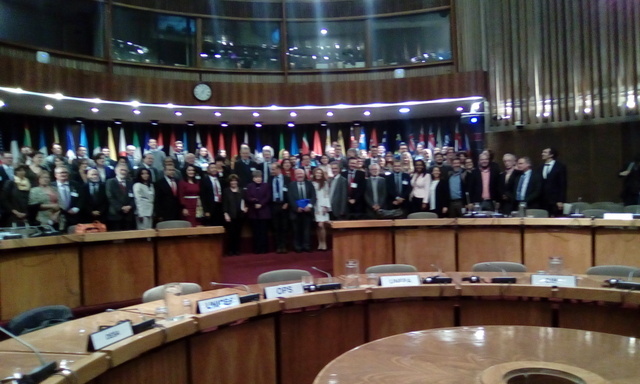 Nearly a hundred experts on migration from the region took part in the meeting, held at Economic Commission for Latin America and the Caribbean (ECLAC) headquarters in Santiago on Aug. 30-31, which brought together representatives of governments, international bodies, civil society and academia. “Xenophobia is an expression of anger and lack of trust in governments,” she said. “The goal is to facilitate regulated migration. It’s not on our agenda to stop the movement of people,” she said in reference to the Global Compact on Safe, Regular and Orderly Migration which is in moving forward within the U.N.
To negotiate after debating first “has saved us from negotiating on the basis of preconceptions, prejudices and misinformation. The initial stage of regional debates will allow us to take an x-ray of migration to replace the rhetoric and prejudices with evidence, data and reality,” he said. He also stressed that “migration is a net gain for receiving countries.” He pointed out that 85 per cent of the annual incomes of migrant workers remain in the receiving countries, amounting to three trillion dollars a year. “In the highly capitalist nation-state system that we live in, free circulation of capital has been developed,” she said. “Capital flows to fiscal paradises – evasion that has impoverished many states in our region. But while there is free movement of capital, the movement of people has been restricted, even though there is no capital without human beings, and capital makes no sense without human life,” she complained. “Immigrants, regularised or not, should have the same rights as all citizens,” emphasised the Brazilian trade union leader. “The deficient conditions for development and lack of job opportunities in the countries of origin are the trigger for this kind of immigration, of which some sectors of receiving countries take advantage to get higher profits,” he reflected. “Those affected are the most vulnerable poor sectors, forced immigrants who have no other possibility than to leave their country unprotected, willing to do any work to survive. They have been denied their right to not migrate,” said Bittencourt. “For the past five years, Mexico has had about 12 million migrants in the United States. Continually about 200,000 are deported or return, equivalent to the number that migrate each year,” he told IPS. Perseo Quiroz, Senior Advocate Americas for Amnesty International, provides another perspective with regard to Mexico’s migratory policy. “Mexico deported 147,370 irregular migrants in 2016. And of these, 97 per cent were Central American. This country’s governance of migration is more focused on arresting and deporting than on ensuring migrants’ human rights,” he told IPS. “If we want to put the issue of migrant’s human rights at the forefront, what we have to do is to get away from the border security approach,” added Quiroz. In the seven dialogue roundtables of the regional meeting other vulnerabilities and rights of migrants were discussed, such as the high cost of sending remittances, access to regularisation, conditions faced by women and by children who travel without guardians, and the violence in arrests and deportations. Other issues that were addressed were the situation of Central America’s northern triangle, the passage through Mexico of Central American migrants, the factors driving migration, and and emerging situations such as migration from Haiti, and increasing migration from Venezuela. Destroying the sovereignty of all nations is the true agenda. It is a Bolshevik (communist) tactic toward their long term plan – all work together to create – by stealth – a Global Communist Federation of tyranny, and in order to do that the White Western world must first be destroyed. I note that ISRAEL will not take any immigrants who are not Jews. Yet they are working to flood Europe with Black and Brown young male Muslims to destroy the ethnic-Europeans through miscegenation and turning them into a minority in their own ancient countries. We say NO. This is all Rockefeller/George Soros inspired.